The Porsche has for a long time been at the height of sophistication. An emblem of a traditional sports car, Porsche vehicles are something that many people aspire to one day owning. You may love the look of the cars, but how much do you know about the Porsche company? Here’s a quick history of all things Porsche to help you learn more about your favourite sports cars. Way back in 1931 the Porsche corporation came to be. The founder, Ferdinand Porsche, based the office in southern Germany. The office was in a place called Stuttgart, the capital of the state Baden-Wurttemberg. The first car that the Porsche team designed at their new headquarters was the ‘car of the people’, aka a VW. The VW Beatle, which happened to be the same car, went on to become one of the most-popular cars of all time. It wasn’t until a few years later, in 1939, that the team of experts designed the first Porsche car. This car went by the name of the Porsche 64 and took on many of the same characteristics as the Beatle. In fact, the two cars were so similar in components that for many years after it was made the Porsche became as popular around the world as the Beatle was. Since the beginning of the Porsche empire, Porsche vehicles have been competing in races around the world. The vehicle has won many races across the globe and even completed in many Le Mans tournaments. Many people associate the name Porsche with racing, and this has contributed to the popularity of the brand. In 1951 creator Ferdinand Porsche died. At the same time, the Porsche company decided on a change of tact when it came to its vehicles. Rather than being steady and reliable, they wanted to be fast and cool. In this year the Porsche company began to make faster cars, which would go on to sell much better than their original vehicles. Now, over half a decade later, the Porsche name is synonymous with speed. The main reason people invest in such a car is because of its fast nature. In fact many modern car dealers, such as Inchcape, specialise in Porsches with exceptional horsepower. 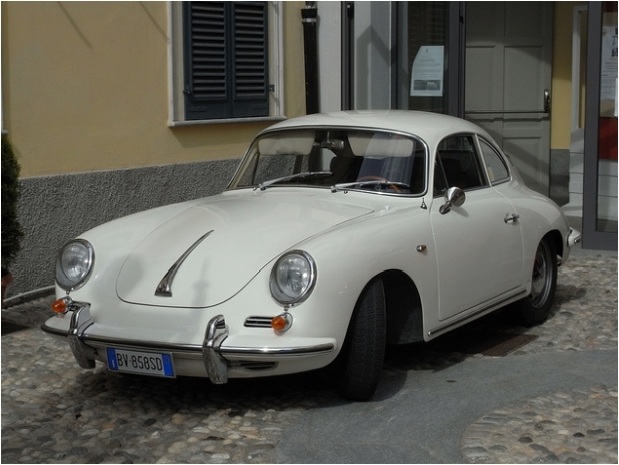 During the late 1950’s and the early 1960’s Porsche began to create a new range of cars. In fact, in 1956 Porsche built its 1000th car, which sold well due to the gimmick of the number. The brand began to outsource much of its work at the same time. Outsourcing allowed Porsche to expand quite fast during a short amount of time. By 1965, the brand was one of the top vehicles not only in Germany by all over the world. By the early 1970’s, Porsche had established itself as one of the front-runners for sports cars in the world. The company then spent a lot of money on developing new lines of sports cars. The company began to work with other well-known sports car brands, such as Audi. By using an Audi engine in their new lines, the company manages to make their car one of the fastest vehicles in the world. The 924 Turbo model became one of Porsche’s most-popular sports and racing cars to date. The 2000’s saw the Porsche brand growing in strength once more. The 2007 Porsche Cayenne outsold previous models and meant that the brand was still a huge power in the world of motoring. A few years later Porsche began selling the 911 Turbo, which took inspiration from earlier models. The new model sold as well as past super cars. Porsche continues to work on fine sports cars, and much of the company’s history is yet to happen.